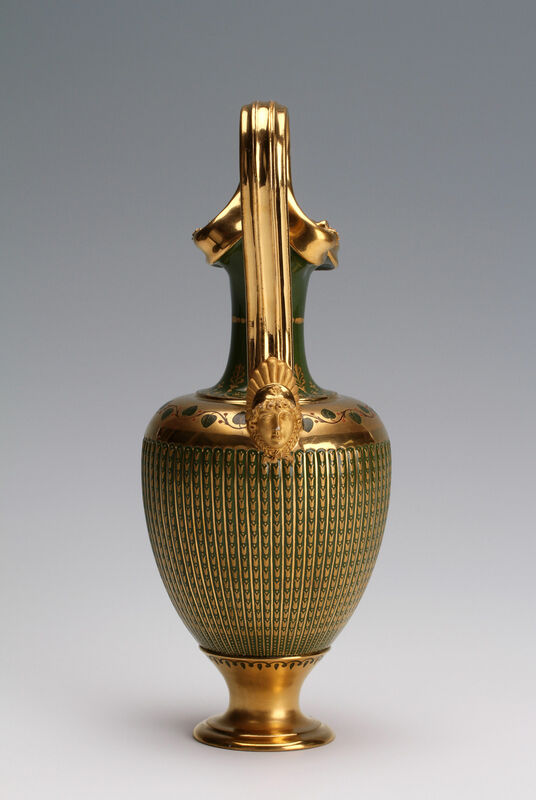 The fluted body with a chromium green ground and gilt husk highlights, the shoulder with a frieze of foliage on a gold band, the foot, handle and spout fully gilded with bands of highly burnished and slightly matt gold. The form is taken from an ancient Greek oinochoe, one of the shapes copied from the Vivant-Denon collection of Apulian vases housed at Sèvres since its purchase in 1785 by Louis XVI on the advice of the comte d’Angiviller. 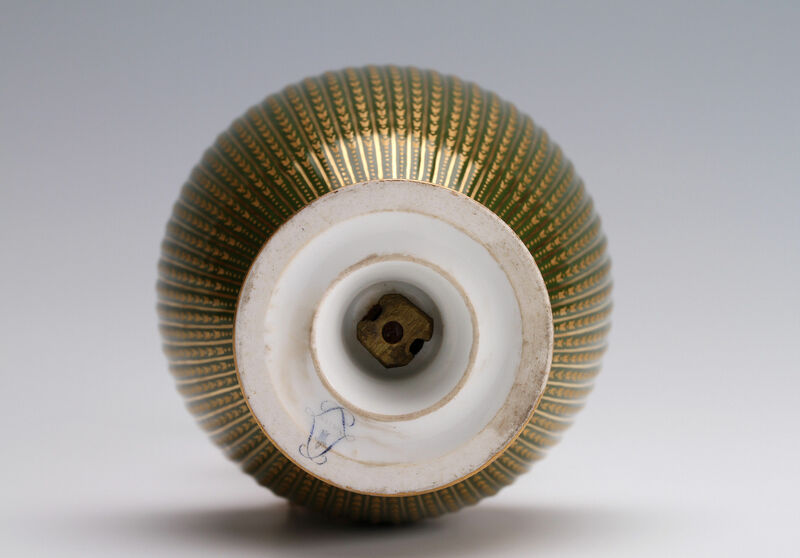 This is the first example of this shape to be produced. 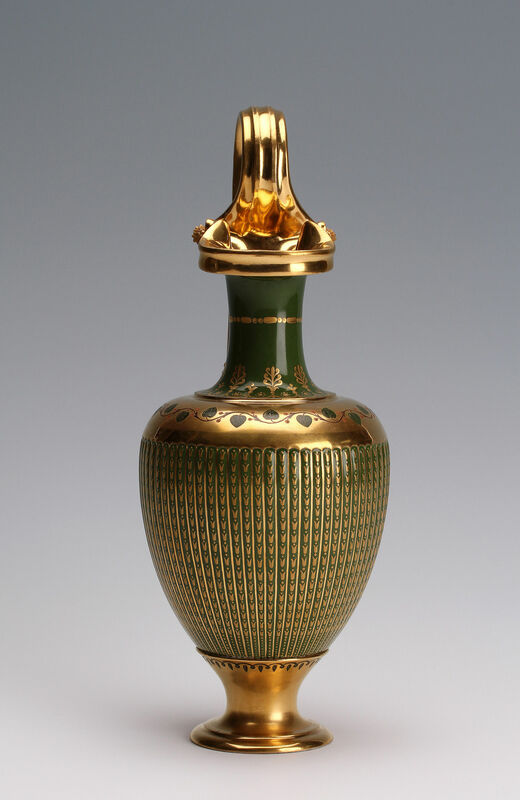 It was described as fond vert riche décor upon its entry in the Magazin de vente on 22 March 1816, at a price of 85 Francs (Vv1, 61-46). Ernest Augustus Edgcumbe served with the guards at the battle of Waterloo, he attended the famous ball held in Brussels by the Duchess of Richmond on 15 June 1815. On the death of his brother in 1818 he became heir to the family title and left the army, he later served as ADC to William IV and Queen Victoria. 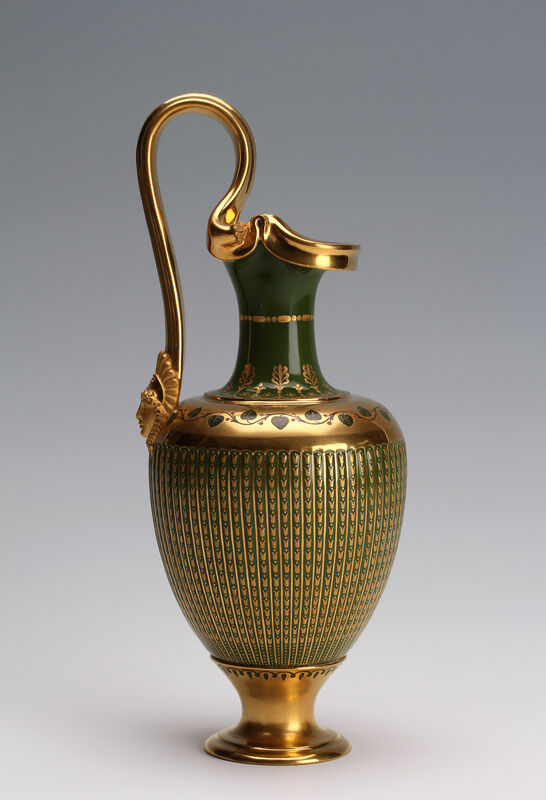 After the restoration of Louis XVIII many of Wellington’s officers are recorded as having bought Sèvres in Paris, this ewer is likely to have entered the collection at this time.